The criminal behaviour of the above listed military and police bodies and their complicity with organized crime, in this case the Knights Templar, enacted in order to escalate the war of conquest that has been waged for years now against the Nahua indigenous community of Santa María Ostula. The goal of this war of conquest is to occupy the community’s territories in favour of mining and transnational tourist interests, and to punish this community for having dared to take back the land from which they had been displaced and for having defended themselves—by putting into practice their right to live—from organized crime, which today serves as the paramilitary branch of the Mexican State. The motive for these criminal acts is none other than to advance of the war of capitalist conquest against Ostula and against the originary peoples and indigenous and non-indigenous communities in this country. THE IMMEDIATE AND UNCONDITIONAL FREEDOM OF COMMANDER CEMEÍ VERDÍA ZEPEDA, AND THAT ALL CHARGES AGAINST HIM BE DROPPED. 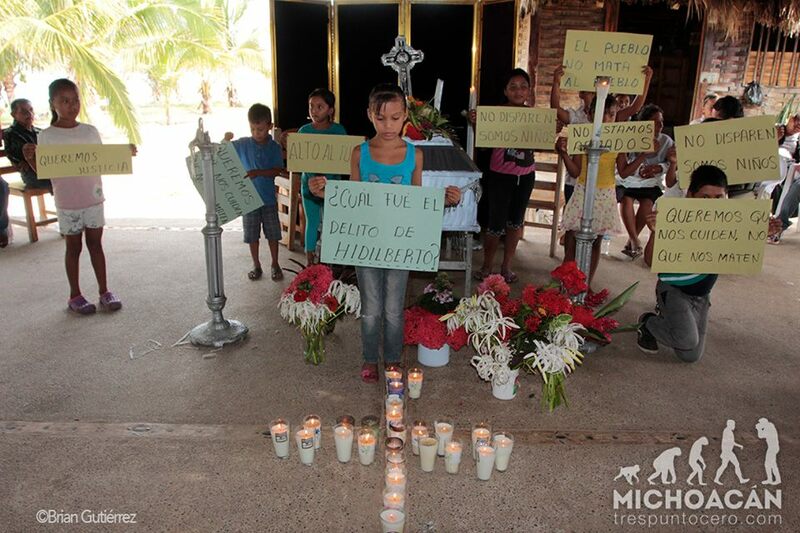 THE PUNISHMENT OF THE AUTHORITIES AND MEMBERS OF MILITARY AND POLICE BODIES WHO MURDERED THE CHILD EDILBERTO REYES GARCÍA AND BEAT AND INJURED VARIOUS OTHER COMMUNITY MEMBERS OF OSTULA. 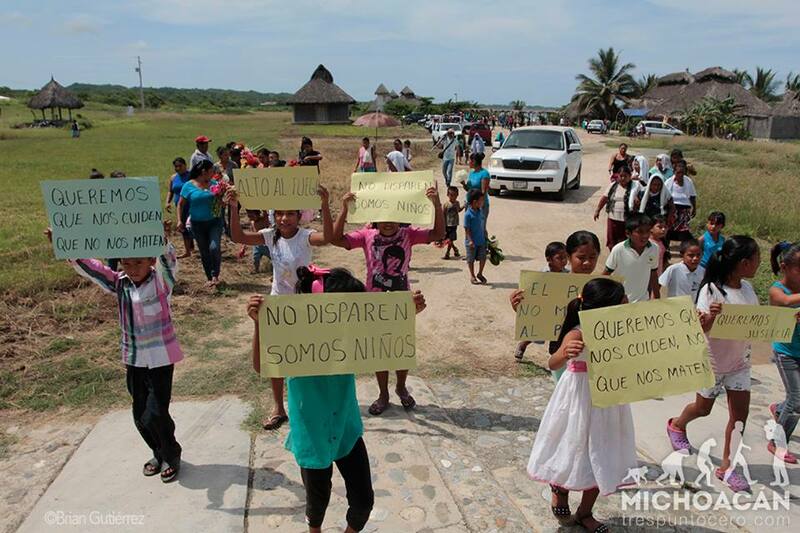 Respect for Santa María Ostula’s community lands which foreign mining companies like Ternium—with the support of the bad government in collusion with organized crime—intend to take over, dispossessing the community. The reappearance, alive and well, of the 6 disappeared community members, and the punishment of the intellectual and material authors of the murders of the 33 Ostula community members who have been killed over the last four years in their struggle to defend their land and freedoms. Respect for and guarantee of the continued functioning of the community police of the indigenous community of Santa María Ostula. Finally, we call upon the international community and the brothers and sisters of the national and international Sixth to stay alert to any happenings that may occur in the territory of the Indigenous Community of Santa María Ostula, joining in solidarity with their struggle and their demands. Indigenous Revolutionary Clandestine Committee—General Command of the EZLN.